Whether you are drawn to working with the children or adults, we have a program that gives you the skills to improve the speech – and lives – of others. At SAU, our two-year MSLP program allows you to complete your degree quickly without shortchanging the experience. Our graduates work at Mississippi Bend Area Education Agency, UnityPoint Health, Cicero (IL) School District, and many others. Our MSLP students collaborate with other health care professionals, work closely with experienced faculty during clinic and research projects, and focus on improving lives. At SAU, you gain the confidence and freedom to grow as a practitioner in a high-demand field. Courses include diagnostics, research methods, early intervention, dysphagia, critical thinking, fluency disorders, voice and resonance disorders, clinical reasoning, and more. You get clinical experience starting your first semester. The second year, you complete two internships, each 10 to 12 weeks, and they can be completed outside the Quad Cities area. You also complete a research project and participate in service learning. 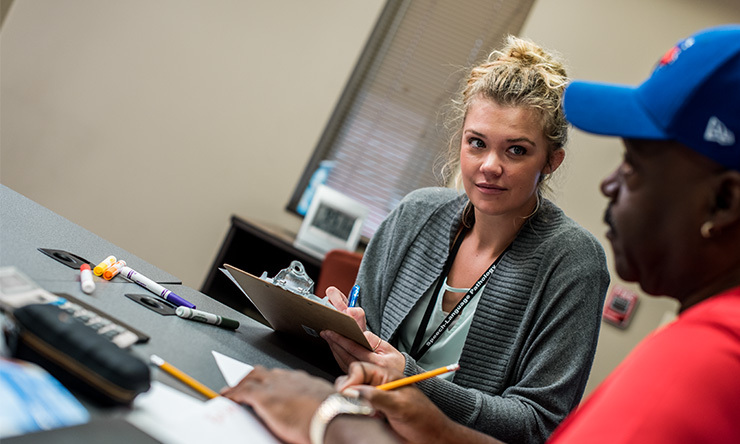 Graduates of our program will be eligible for American Speech-Language-Hearing Association (ASHA) certification and other relevant state credentials. 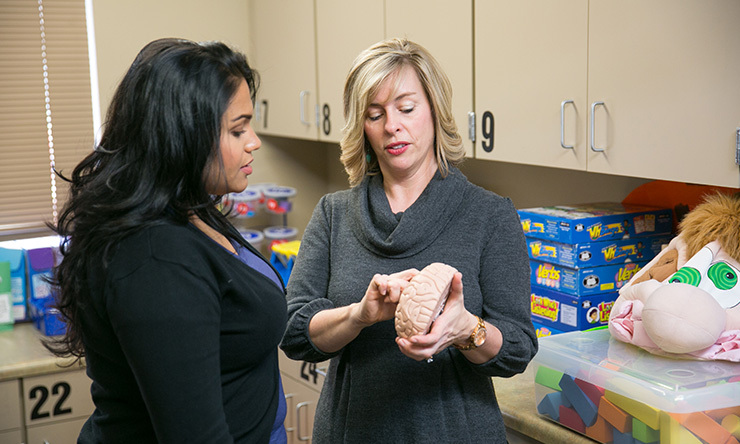 St. Ambrose offers extensive clinical supervision. Often times, faculty supervise more than half of clinical contact - double the 25 percent required by ASHA. Our established partnerships with community agencies allow you to develop and refine clinical skills in early childhood centers, after-school programs, rehabilitation facilities and private and public schools. We give you unique study opportunities at home and abroad during winter and summer interim courses. Read what our students said about the most recent trip to Ecuador. Click here to search our study abroad programs. Our faculty bring a wide range of experience to the classroom and continue practicing. They work in private clinics and institutional settings such as Genesis Medical Center. Read this story about how Professor Darci Becker, PhD brings her clinical experience into the classroom. All students complete a graduate research project, and faculty may also incorporate students into their own research. What are alums of this program doing? Bryan Bustos Camona '17 MSLP works at the Mississippi Bend Area Education Center in Bettendorf, Iowa. Lauralai Histed '15 works in the Bronx as an SLP at St. Joseph's School for the Deaf. Steven Miller '16 earned his master's in educational leadership at Cardinal Stritch University in Madison, Wisc., and currently works as an SLP in the Verona Area School District, Madison. Kate Johansson '14 is an SLP for the Cicero (IL) School District. At St. Ambrose, we realize a graduate education is a personal, professional, and financial commitment. That is one reason we "freeze" the tuition rate when you enter the MSLP program. The One Price Tuition Plan ensures your tuition costs are consistent across semesters, making financial planning easier. For the cohort of students entering the MSLP Program in Fall 2019, the total tuition cost is $61,915. It includes tuition, course fees, liability insurance, technology fees, matriculation fee, and graduation application fees. You may encounter additional costs, which we've outlined below. While the cost may seem daunting, graduate financial aid, assistantships, and scholarships are available to make your degree more affordable. Give us a call or send an email and we'll answer anything else you might want to know. Additional cost if student chooses to enroll in Clinic Study Abroad in Cuenca, Ecuador. 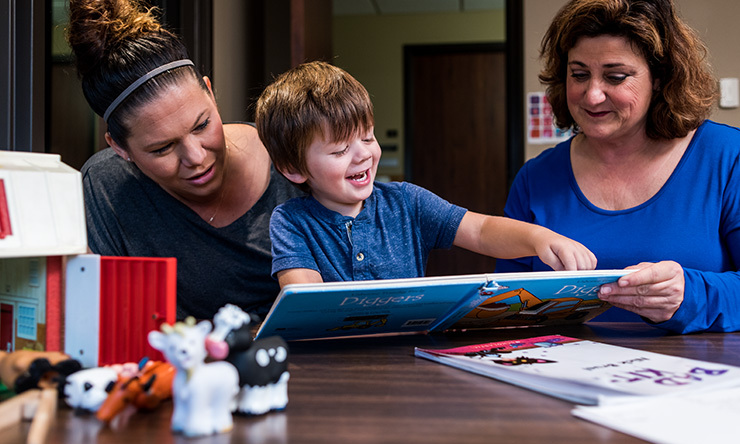 Take the next step toward earning your Master of Speech-Language Pathology degree and apply today!